The world we are living in is full of advertisements and promotional messages. From banner boards at highways to television, we can see numerous brands advertising their products or services. Due to prevalence and impact, leading brands prefer television for advertisements. Advertisements are the inevitable part of marketing as it offers an effective way to make the audience aware to boost selling. A smart advertiser knows how to make a television ad viral because it is all about competition and no brand is in the mood to take it lightly. For catering to the diverse needs of brands, TV network often face various challenging issues in which they have to modify the content so that they could provide the desired exposure. For this, television networks need a smart ad insertion platform that could allow them to telecast ads efficiently. So far TV broadcasters are not able to implement a reliable technology that could allow them to insert their localized content seamlessly so that they could telecast as per viewer preferences. But, the consistent efforts of few leading media technology companies have paid off as they introduced full-featured ad insertion platform that can end all worries of TV broadcasters. So, if you are looking for a platform that lets you put and tweaks ads as per your requirement, and then it is time to explore more about an ad insertion platform. Read this post to know top traits of an ad insertion platform. Earlier TV networks had to finance and set up new channel feeds whenever they need to replace specific content. 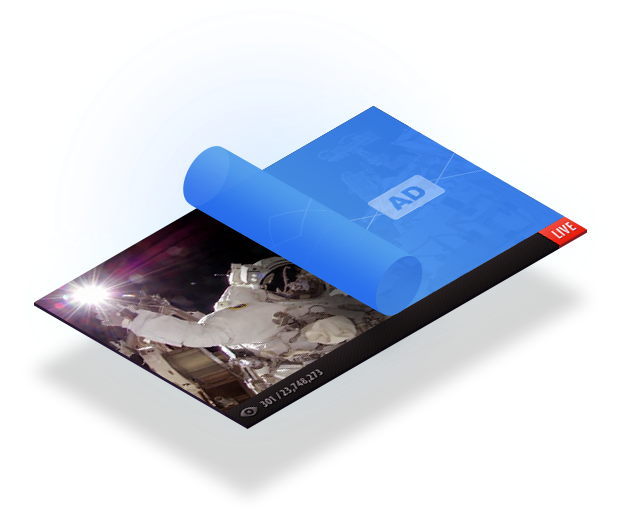 Ad insertion platform can be an ultimate solution that allows replacing particular content with localized materials across many head ends by using existing satellite, kudos to technology. So, now, TV networks would be able to modify content without spending a huge amount. This platform is a full-fledged system that can be easily managed over a cloud infrastructure. Further, it allows TV networks to manage efficiently all their localization needs from across the globe using different web browsers. No doubt abiding by broadcasting regulations and content licenses is imperative for TV broadcasters. Moreover, to get a competitive advantage, they can rely on ad insertion platform. This platform allows them to localize content across various countries or regions to match viewer preferences. Doing so enable them to monetize their content and also give them a competitive edge. Until now, local content insertion for hundreds of head ends in different countries was a big headache for broadcasters. They were not able to insert content in a uniform, cost-effective and flexible manner due to which they were compelled to start a new satellite feed. However, with the advent of ad insertion platform, broadcasters now push out a variety of content such as HD video, multiple audio tracks (including Dolby Surround), high-quality multi-layered graphics, and subtitles. Moreover, these modern ad insertion platforms use watermark-based content insertion triggers. Take a glance at the following points to see its advantages. Every single point that has been explained above clearly shows that ad insertion platform for TV networks are an ultimate solution if they want to thrive well in such stiff competition.